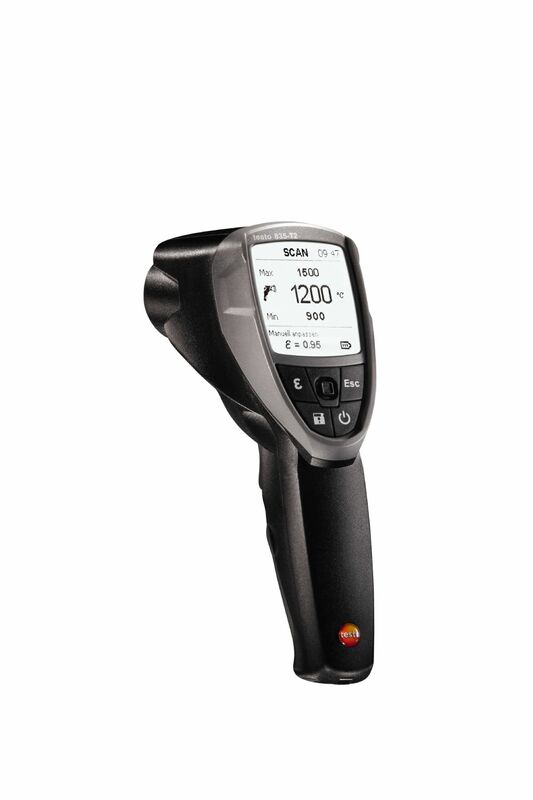 The testo 830-T2 infrared thermometer enables you to carry out efficient, non-contact surface temperature measurements. 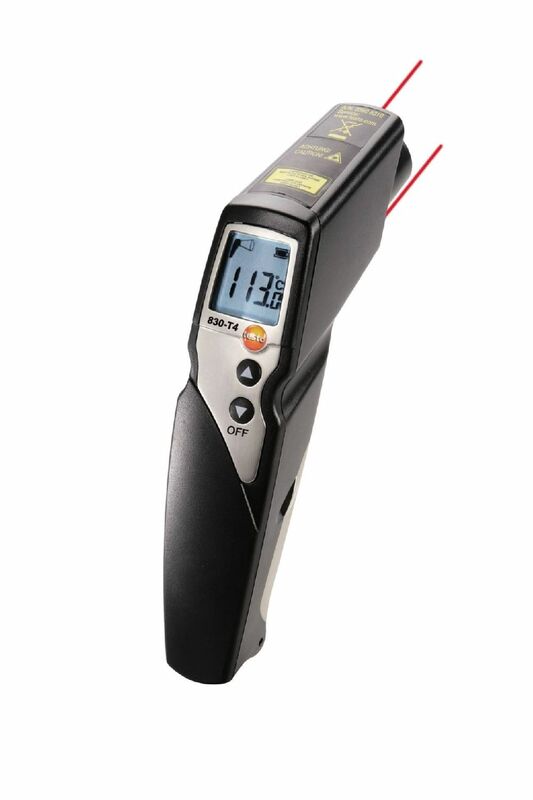 The IR thermometer will ensure that you are well equipped, especially for undertaking control measurements in trade and industry: the gun-style design is easy to handle and the integrated processor provides accurate measurement results. 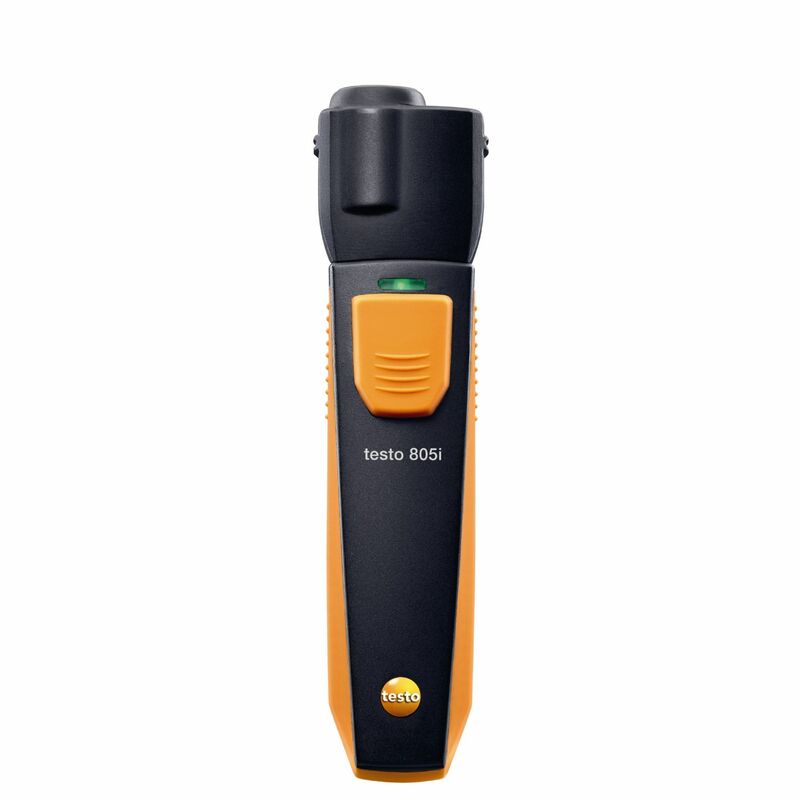 The testo 810 infrared thermometer allows the simultaneous measurement of the air temperature and surface temperature of the object being measured - without contact. 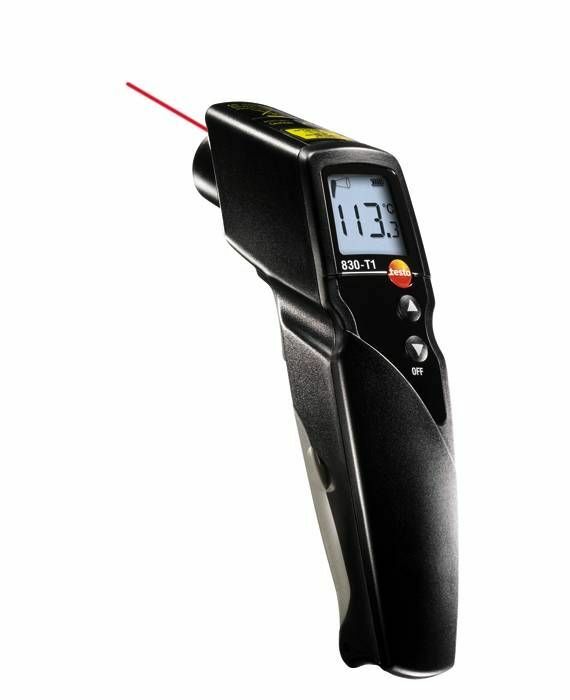 The infrared temperature measuring instrument automatically displays the temperature difference. This makes it particularly suitable for use in the heating, ventilation and air conditioning trade. 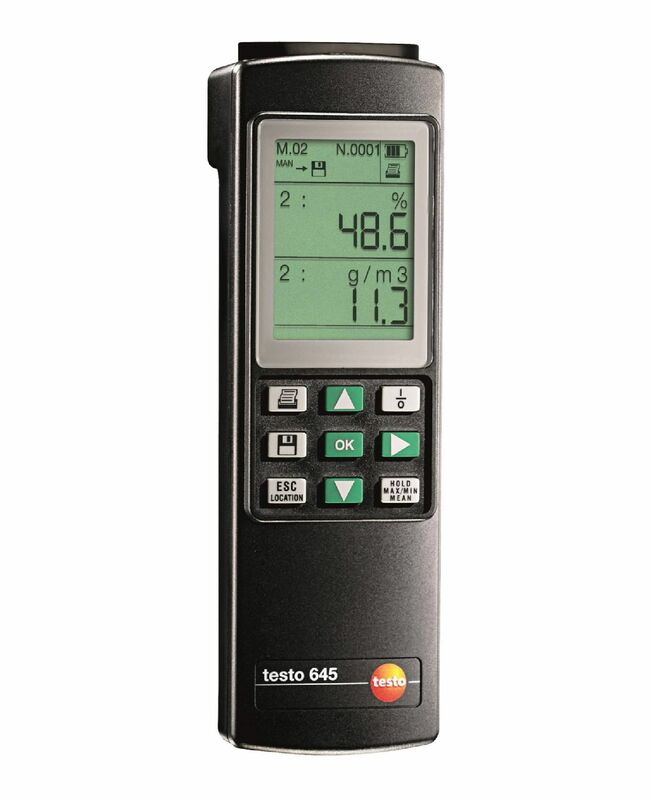 Determine the noise level quickly, easily and reliably in your day-to-day work: with the testo 815 sound level meter. The testo 830-T4 infrared thermometer also achieves accurate results at greater distances during non-contact surface temperature measurement. This is provided by its 30:1 optics and powerful processor. The infrared temperature measuring instrument carries out measuring tasks in trade and industry quickly and efficiently. 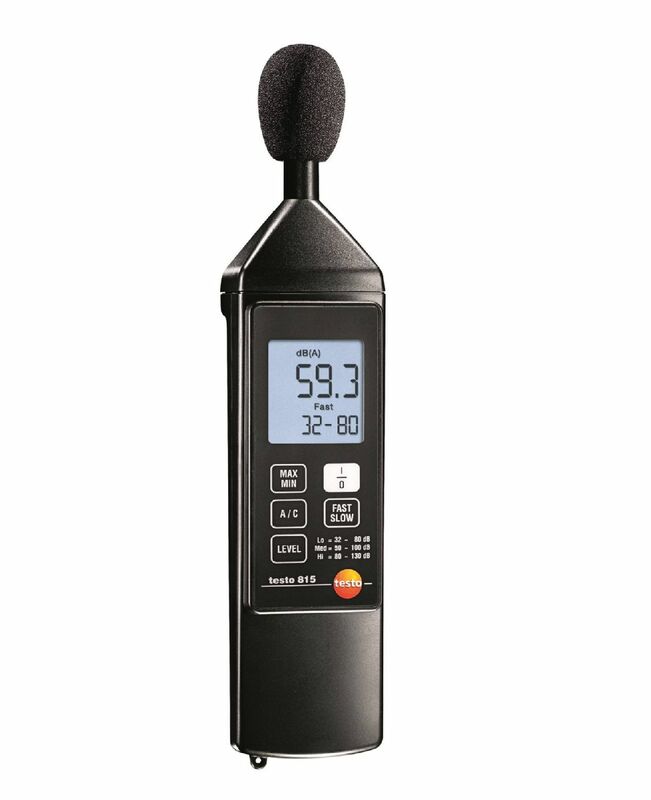 The testo 816-1 sound level meter is the professional model in the Testo sound level meter series. 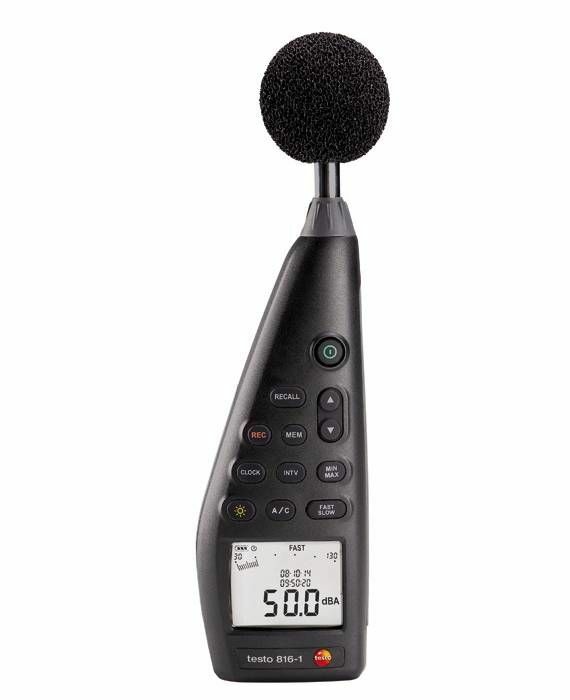 It is designed specifically for measuring noise levels in the workplace, in public places and in industry and production. Includes data storage and analysis. Check ambient temperatures and temperatures in ducts and at air outlets quickly, easily and professionally: with the testo 905i thermometer, which is optimized for your smartphone, nothing could be simpler. 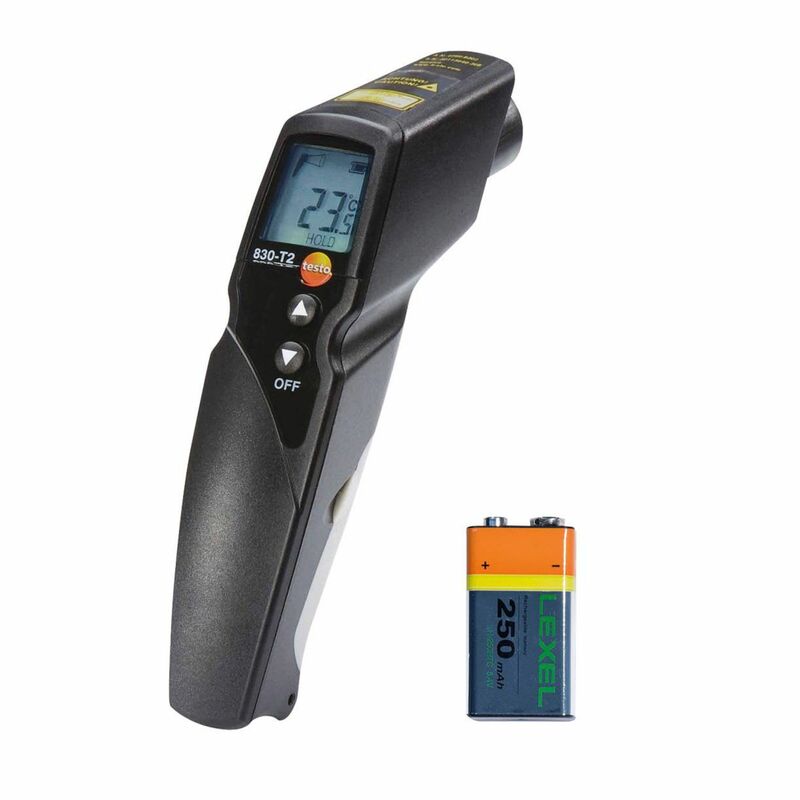 The practical infrared thermometer testo 835-T1 offers maximum safety and precision when measuring the temperature of smaller objects from a medium distance. The testo 835 T2 infrared thermometer reveals just what it’s made of long after other infrared thermometers have given up. 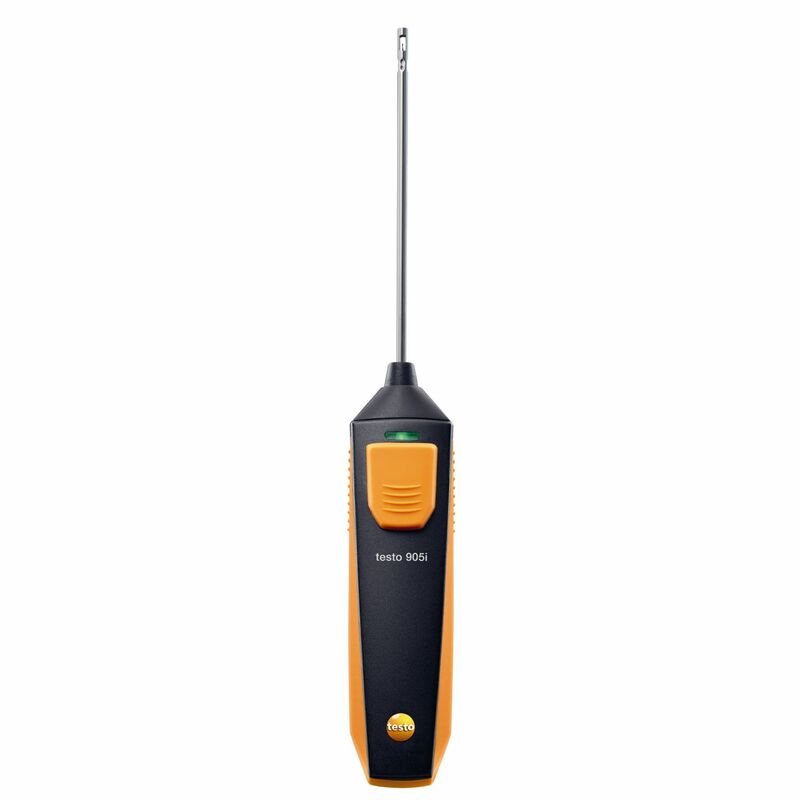 The testo 835 T2 allows you to measure temperatures up to 1 500 °C and moving objects safely and reliably. 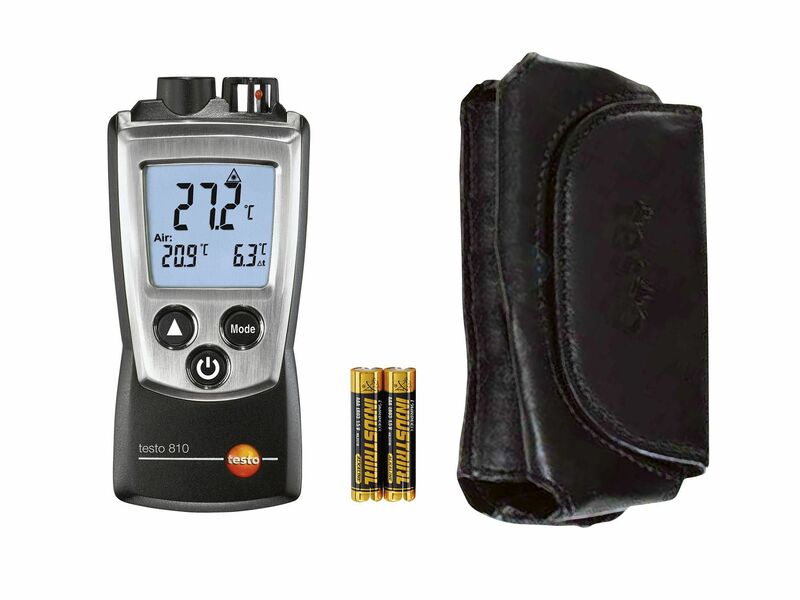 The testo 645 humidity/temperature measuring instrument automatically indicates the measurement parameters of relative humidity, absolute humidity, dew point, degree of humidity, enthalpy and temperature at the touch of a button.